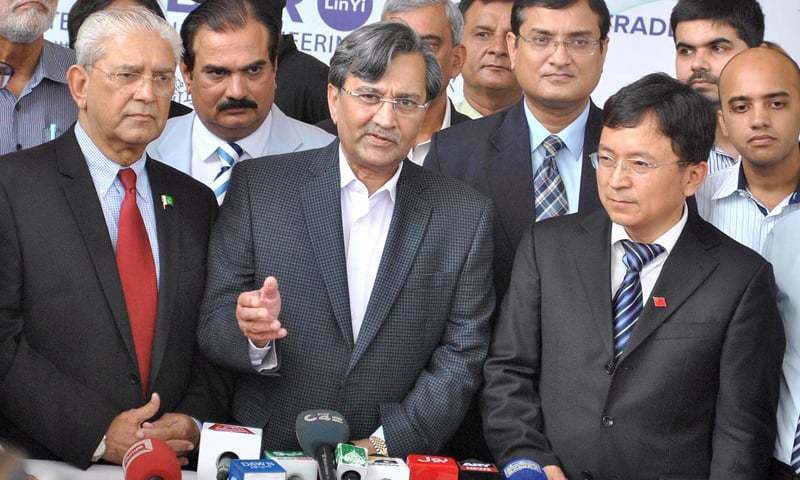 LAHORE: “Chinese companies are considering shifting their industrial units to Pakistan,” said Federal Minister for Commerce and Textile Pervaiz Malik on Saturday. He was speaking to the media at the inauguration ceremony of the First China Electrical and Mechanical Machinery Exhibition 2017. He said the Rs180 billion textile package is currently being reviewed by his ministry on the direction of the PM Shahid Khaqan Abbasi. “Actually the package is being reviewed to remove certain issues in it before it could be implemented in true letter and spirit,” he explained. The three-day expo has attracted participation of as many as 200 Chinese businesspersons, representing several industrial units manufacturing electrical, mechanical and other sorts of machinery, including electric automobiles. “The response of Pakistani manufacturers, distributors and general customers to our products is really amazing”, Marketing Director of the Changzhou Keytech Vehicle Company Limited, Jack Xie said while speaking with Dawn. “So keeping in view the feedback, we are considering to also establish our industrial unit in Pakistan so as to offer our goods to Pakistanis on rates cheaper than China.” His company has showcased various small electric vehicles, motorcycle rickshaws and loaders etc. According to the exhibition organisers — Pakistan China Joint Chamber of Commerce and Industry (PCJCCI) and the E-commerce Gateway — the three day event is the first of its kind since it has brought China to Pakistan. “The idea to bring investment in machinery manufacturing had actually been floated in the Beijing Conference last year in which it was decided to relocate Chinese manufacturing facilities to Pakistan,” Mr Xie added. He said the event has enabled the Chinese companies to find joint venture partners. Several local companies are also participating in the event. Large visitor turnover was witnessed at the stalls showcasing electric vehicles, rickshaws, motors, equipment related to power transmission lines and telecom sector. “We manufacture transmission lines (cables) conductors, insulators and towers (for both transmission lines and telecom). And in Pakistan we are seeing good response really,” said Mr Lee, Project Manager of the Shandong Qixing Iron Tower Company Limited. He said his company has plans to establish a factory in Pakistan soon. According to the organisers’ claim, over 10,000 people, including Chinese and Pakistani top level machinery manufacturers, businessmen, entrepreneurs and investors participated on the first day of the expo. “As many as 100 stalls have been set up by Chinese manufacturing companies and around 200 persons of the Chinese machinery industry have purposely traveled to Pakistan to explore joint ventures and partnership possibilities with our machinery industry. Many consultancy firms have also set up their stalls at the expo to assist the investors,” explained a spokes­person for the organisers. Chinese textile companies in Pakistan and rates cheaper than China. Serious Alarming signals to local industry. Wakeup Pakistanis before its too late. Msg from a Pakistani... Note: I am industrial automation engineer and have worked in various Pakistan textile companies. Our country has immensed talent in textile sector with high level of quality products instead of limited resources. I really pray that China doesnt eats up our local industry. As long as they keep things clear and give wages compatible, it is a very good news. All these developments are due to CPEC. Pak-China Friendship Zindabad. Do they dont have any choice other than you. Pakistan is open for Chinese Business but is China open for Pakistani businessmen. Is Chinese intentions clear now ? Or not yet ? Any participation from other countries? What a sudden impact. Pakistan is set to implode and come out as Super Power 2, of course behind China. Well done min. We should also take care of our local industries to exist while have to work hard and very fast to tackle this industrial collaboration with China. And please don't let incoming Chinese with out check as Afghan refugees in the past.Everything will be fine with China Pakistan collaboration if we keep our home work done ! East China Company taking over Pakistan. I hope I'm wrong but bad leadership from Pakistan is a problem as they can't hold Pakistan interest in pars with Chinese, since Pak corrupt mafia govt has no good head on their shoulders. @Abc - find a way to infiltrate them..
China is spending billions in Bangladesh to make Bangladesh into a modern nation. Basically china has found a market in Pakistan but has Pakistan found a market in china? It will only be one way traffic with a huge trade imbalance. Chinese manufacturers coming to pakistan and the local industries will be destroyed. Why we Pakistanis always like to sell out our selves? China find market open but Pakistan traders does not find market open in China.Dumping of Cheap products will kill local industry. Local industry will in future not able to sell locally as well as export to China , finally it will close down. If Chinese want to reduce their pollution that seriously affects her people they have to relocate these industries. If Pakistan gets these and significant number of Chinese move with these to operate and manage them, then you have loads of opportunities for support services, lower level jobs that will help reduce poverty. Tax and rent concessions should be offered as well as visa free movement to Chinese. I would like to move to Pakistan from UK. I think Pakistan going to be a major player in the world soon. I don't want to miss this opportunity. Joke of the day by the PM(N) Federal Minister for Commerce and Textile. In fact, Chinese firms, companies, industries and enterprises are not insane and mad that they will even think of shifting their industrial units to the "land of the pure" which in essence has almost zero industrial infra-structure and technical base as compared to the developed nations of the world like U.S., China, Japan and Germany. Just hope it is not a one-way move. @Jahan And that really is the question!! @Roger what is stopping you? CPEC is being talked about in the London Financial Times and Wall street journal. There is a lot of money o be made. that is where you are wrong, the dozen or so economic zones under CPEC being built in Pakistan are to provide space for Chinese industries to function on Pakistani soil to produce/finish products mostly for export through Gwadar. They will provide hundreds of thousands of jobs and Pakistan will get tax their produce at some point. Expect an industrial scale invasion, Pakistan will need to adapt but will benefit greatly in the end. @Harivadan There are other nations besides China to export products. 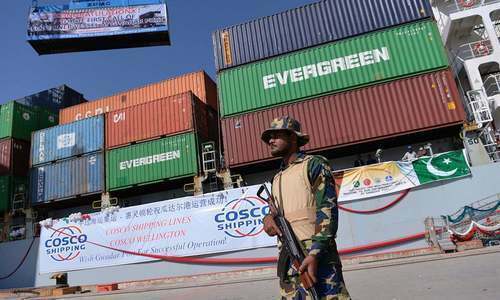 Chinese companies located in Pakistan have to claim their products as made in Pakistan and when the Chinese owners want to return, Pakistani businessmen can buy these factories. @Abc They are offering transfer of technology. Our industry has older tech, needs to improve. I think it will benefit: 1 - job market, 2 - upgrading our textile tech, 3 - improving competition and products, 4 - improve exports. What else do you want? 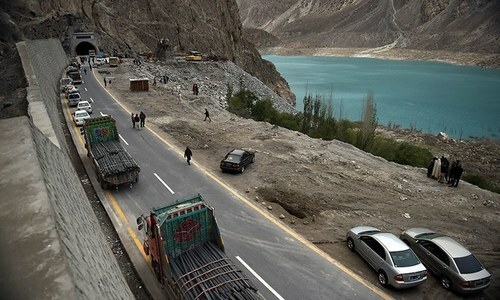 Pakistan open for China . . .
All these exhitions are great but Pakistan should look at things from a qualitative view rarher than from a quantitative tangibility. It's in China's self interest to make sure CPEC is a success. It's the flagship of their massive belt and road project. Yet our neighbors insist something sinister is happening that is directed against them, and try to make us paranoid that the Chinese want to steal money from its poorer neighbors. Cpec is blessing for pakistan but we Pakistani turn every thing to trash. And blame for own failure to government or politicians. Pakistani public wants every thing handed to them in golden plate. Get up and do your part for the country. Pakistan has given you so much. Play your honest part to build the country. Turn a cpec to our advantage. China should be given more opportunities in China. Pak- China friendship zindabad.